What It Is: Member Orientation is an introductory event for new members, to help them learn about the Chamber and their member benefits. When It Is: Member Orientation is held every other month, typically the 2nd Monday of the month. What’s It’s For: To help new members understand their member benefits, how to use their online profile and portal and meet Chamber Board members and committee chairs. The event is not only for new members, but is also a refresher course for current members. 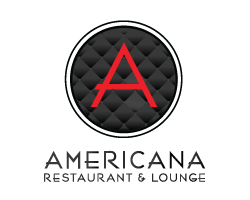 Thank You To Americana for Hosting! Join Now and Attend Our Next Member Orientation Event!